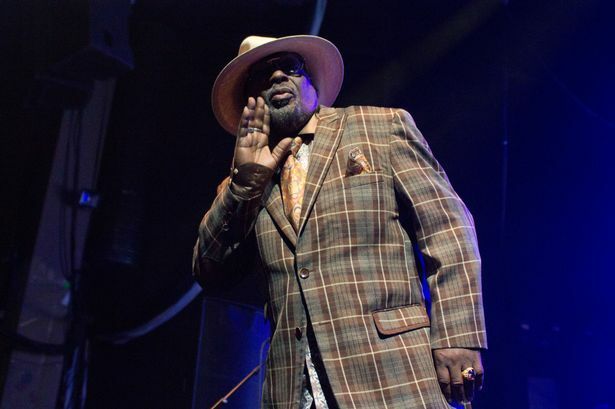 George Clinton is one of the most influential artists of modern times. As band leader with the legendary Funkadelic and Parliament his work has been sampled by more people than any other artist. His music, the P-Funk, has formed the bedrock of Funk, Pop, Hip-Hop and R&B the world over. Sitting at the top table beside James Brown and Sly and the Family Stone, Clinton's work helped to define an era where immense musicianship, innovation and more than anything, the groove, created the soundtrack to a generation. A few years back Clinton took The Sage in Gateshead by storm and such was the impact of that show it is still talked about today in hushed tones so it was no surprise that a return visit to the region was greeted with such enthusiasm. Looking elegant and dripping in cool, a 75 year old Clinton cut a fine figure at the front of his unbelievably large troupe of musicians and singers including dancer Sir Nose D'Voidoffunk, whose handstands and acrobatics on top of the speakers drew breaths of astonishment. With a recently released expansive triple album, First You Gotta Shake The Gate, showing that after 33 years, the Funkadelic side of Clinton still has a rich vein of creativity to mine, kept the first section of the show busy after the opening bump and grind of Mommy, What's A Funkadelic before the slamfunk of Mothership Connection upped the Funkometer to 10 and beyond. For the majority of the marathon grooveathon, it was classic after classic with Bop Gun, Flashlight and Give Up The Funk grooving so deeply that the foundations were shaking as the whole crowd moved to the downstroke. Red Hot Mama slammed Clinton into Rock mode while a colossal One Nation Under A Groove waved the flag in a stirring clarion call for the P-Funk. Long-time guitarist Dewayne â€œBlackbyrdâ€ McKnight added a timely slab of shredding guitar to Maggot Brain as Clinton lead the band on a mazy, cosmic jam. Saving Clinton's own Atomic Dog until the end ensured the departing punters were grooving on into the night as the band celebrated the last night of their tour on stage with plates full of cheesecake. Delicious!! With a show clocking in at nigh on three and a half hours and with the Academy's strict 10pm curfew kicked well into touch it is doubtful the Academy will ever experience quite a night as this again. For one evening George Clinton with the best of Funkadelic Parliament laid down the groove in a way that no one has before and proving once again why he is the Godfather of Funk. ut that is not the end of it. 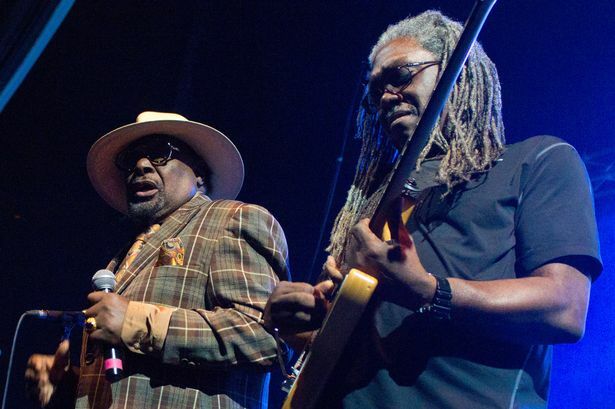 In an exclusive interview backstage after the show a jubilant Clinton revealed that he is working again with Funk titans Bootsy Collins, Fred Wesley and Maceo Parker on a brand new Parliament record in what may just be Clinton's most important year since the 1970s. Funktastic times are indeed ahead.